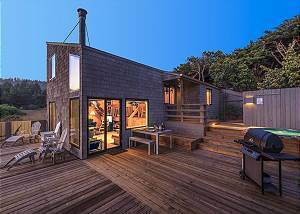 The Living Roof Unit 21 Lot 107 Ocean Bluff award winning green home designed by architect Obie Bowman. Walls of glass provide white water views. Gourmet kitchen. Close to the Ohlson Recreation Center.